The increasing realization that digital inequities restrict a community’s efforts to reach their goals has led to a striking number of communities creating community-wide digital inclusion coalitions. Up to this point, the efforts have largely been local with a minimum of national involvement. Interest in digital inclusion coalitions is spreading through networks of libraries, schools and nonprofits but there are many cities where these organizations either don't have the influence and experience needed to drive civic coalitions, or may themselves need grassroots community support and "demand" to stick their necks out with political leaders. The activities in this workshop will be based upon NDIA’s Digital Inclusion Coalition Guidebook. The Guidebook includes strategies for developing and maintaining community-wide digital inclusion coalitions, common challenges, decision making structures and essential coalition members. The workshop activities will be structured to support building coalitions at all points in their development, from first steps to advanced strategies. The Intelligent Community Forum (ICF) Institute in partnership with Ice Miller LLP will present on the efforts currently underway in Ohio to build Intelligent Communities and ultimately an Intelligent Ohio. Following the overview, attendees will have the opportunity to take a closer look at their own communities through facilitated small group discussions focusing on each of these three key indicators. Attendees will leave with a better understanding of best practices in each area and ideas of how they can lead change in their city. 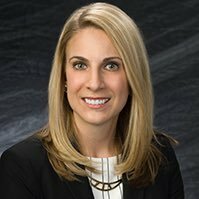 Ice Miller will provide an overview regarding recent actions in the Ohio General Assembly related to broadband, as well as local initiatives. This discussion will include an overview of Ohio Revised Code section 4939 and its impact on small cell regulation and local control in Ohio. This session will also address two bills (H.B. 281 and H.B. 378) that, if passed, would provide funding for broadband expansion throughout the state, as well as any new legislative initiatives that develop in the months leading up to the workshop. This workshop invites discussion on new ways of thinking about digital equity in response to presentations by three research teams who are analyzing key aspects of digital equity: information access, information poverty, and a feminist ethics of care. Participants will learn about a variety of methodological approaches being applied to urgent needs for information equity across the United States. Workshop attendees will contribute to shaping future investigations through interactions with the panelists. The research teams aim to disseminate their findings to a broad audience, so presentations will be lively and informal. EveryoneOn invites its Digital Equity Champions (DECs), Enrollment Partners (EPs), and those interested in joining the movement to create social and economic opportunity by connecting people to internet, to an informative and fun session to gain useful tools, resources, and initiatives that organizations can leverage to advance digital inclusion. Join us and meet other rockstars in this space! Note: This pre-conference program takes place in the afternoon. Attendees are invited to join us for lunch beginning at 12pm, but the workshop itself will not begin until 1:30pm. This face-to-face and virtual workshop will provide researchers and practitioners with an opportunity to learn about the work being done in the field of digital health literacy with the goal of extending the impact of everyone’s efforts. 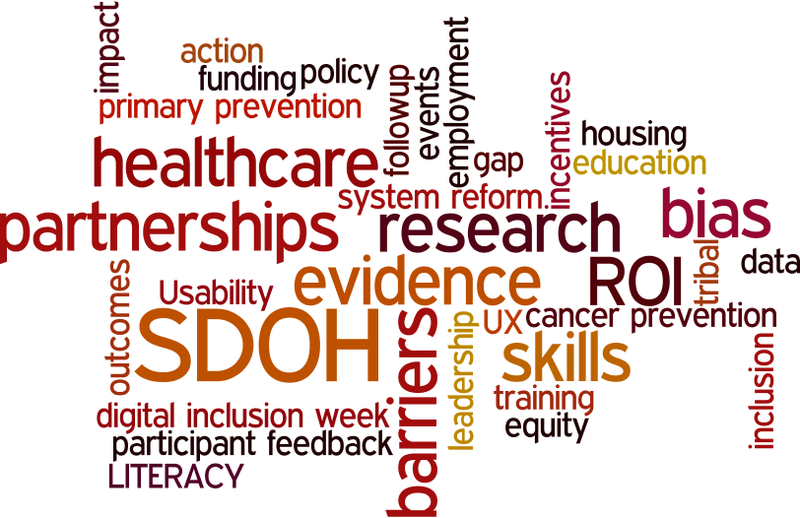 Participants will learn about work going on in digital inclusion and health across multiple disciplines and share their own work in an ongoing effort to expand impact in the field of digital health literacy. Sponsored by Mobile Beacon and PCs for People! Masthead Brewery is .7 miles from the Global Center. Alternatively, guests can take the free trolley lines B and C. Both go from Global Center to the corner of East 12th and Superior (Half Block from Masthead). The B line stops running at 7, but the C line keeps going until 11. Here is the Trolley Map. So excited about our third annual conference! I've been helping the Internet work for all of us since the 80s, and NDIA is leading the way into the third decade of the 2000s. How did THAT happen!? See you in Cleveland! I'm a researcher interested in collaborations with non-profits to better understand solutions to digital inequalities. I'm particularly interested in intermittent digital breakdown or disconnection and repair. Community digital inclusion partnerships take different forms but face similar goals and challenges. Panelists will share lessons and best practices. This panel will make the case for consideration of digital skills and access as social determinants of health. Panelists will examine different approaches to identifying and addressing digital inclusion gaps in health care and community settings. The needs of rural and urban WIC participants will be highlighted, and examples will be presented of adult literacy organization partnerships and of a comprehensive health-system wide effort to engage both hospitalized and clinic patients in digital health technology. Providing assistance to people with disabilities requires knowledge of accessibility hardware and software in addition to training strategies. What resources are available to support increasing digital access for people with disabilities? How do you make your work exciting to funders and potential partners? This panel will focus on making the digital inclusion message understandable and compelling. Assistant City Manager, City of Kansas City, Mo. Some state governments like California's are active funders and advocates of community broadband access and adoption efforts. This panel will look at exemplary initiatives, and at ways to promote similar investments elsewhere. Virtual Reality (VR, AR & 360 Video) is unlike any other communications tool, using the first-person perspective of games, narrative storytelling, and immersive 3D visuals to place the viewer inside of the experience, resulting in experiential learning, empathy, and increased understanding of self and others. In this hands-on session, you’ll learn how VR goes beyond traditional films, journalism and games to transcend actual reality and to help us experience stories, places, and people in a new way. With the price of VR headsets decreasing, more access to demos and community storytelling in VR is now possible. Learn the basics of VR; how to engage your community in fun, educational demos; provide accessibility to equipment, tools, and training, and try new experiences now available in VR. Using project-based learning, this workshop will help participants understand how to use VR/AR/360 as a communications tool for storytelling and immersive journalism. Attendees will have an opportunity to demo customized VR experiences such as on global air pollution the Public VR Lab created for the United Nations Environment Assembly (UNEA), robot dog walking and other age-appropriate games, and demo a 360 science discovery journalism project created in partnership with the Lab and the Boston Globe. Lunch is sponsored by our friends at Mobile Citizen. Lunch will be immediately followed by additional programming. The Verizon Innovative Learning explorer lab is an entirely new way for middle and high-school students to discover the world of STEM. Our lab brings an immersive learning experience that combines movie-quality video, special effects, and hands-on educational gaming to create a learning environment that gets kids excited about STEM – right in the school parking lot. Come and experience what our Verizon Innovative Learning students get to experience - and join us in helping build a brighter future. Recent Mobile Citizen Marketing Communications Specialist hire, looking to further brand awareness initiatives on digital inclusion. Disadvantaged communities are being systematically excluded from information communication tools. What data proves this exclusion and how can we fight it? Moderated roundtable discussion for practitioners sharing innovative tools for digital literacy training and student assessment. Of all the federal agencies, currently, the Federal Communications Commission is the agency that most impacts local digital inclusion efforts. Panelists who interact with the FCC with discuss issues in front of the FCC that could impact broadband adoption in the U.S. and change available digital inclusion resources. Public interest, tech policy advocate. Key issues include: Affordable Broadband Access, Net Neutrality, Rural Broadband, Education, Privacy, Emerging Tech Platforms, Antitrust/Competition Policy, Copyright/Intellectual Property. Local foundations are increasingly playing leadership roles in local digital inclusion efforts. What lessons can be learned from communities with strong foundation support? Addressing the affordability barrier of a home internet subscription, low-cost offers from Internet service providers are a valuable resource. What should practitioners know about the realities of the eligibility requirements, signing up, how long the low-cost offers will be available and what support is available with each offer? This panel will consider different approaches to engaging underserved patients with health information technology. Three case studies will be reviewed in depth: Use of community health workers and partnerships with local digital inclusion advocates in Cleveland, OH; working in community health facilities in San Francisco, CA, and training hospitalized patients in Columbus, OH. I study healthcare transformation in response to new information technologies. I am currently conducting a research study on how patients and providers would like to learn about engaging with secure electronic messaging through a patient portal. Initiatives that use existing data resources, as well as new survey research, to document local digital divides and digital inclusion program impacts for community practitioners and policymakers. Are you considering a new computer refurbishing initiative to provide affordable devices in your community? Find out what's involved from experienced refurbishers. Yes, we will be raffling off a laptop or maybe an Iphone 5! Discussion of local government funding mechanisms for digital inclusion, including small cell fees, cable franchise agreements and public fiber builds. Moderated roundtable discussion of the variety of approaches to digital literacy training and management: including use of volunteers, class structures, certifications, use of online tools, curriculum, etc. Broadband is included as a form of infrastructure investment. It is an essential community service. Under the CRA service test, banks should show evidence that their “alternative delivery systems” using online banking and financial technology are being adopted and are effective in providing services to low to moderate income individuals. Workforce development and small business development was already included. The regulation recently added workforce development/job training examples and technical assistance for businesses in the use of technology. Municipal digital inclusion efforts are often part of larger "smart city" initiatives. Learn how open data, civic tech, and internet of things efforts can and do include the whole community. Ask me about digital inlusion coalitions, digital inclusion pilots/grantmaking models, equitable deployments of smart city tech, and collaborative data projects! Adult educator/program director learning and teaching in our digital world. Distribution Manager at AZ StRUT where the circular economy efforts are impacting schools, nonprofits and the environment. And I’m learning to refurbish computers and install LXLE. Gulp! Cities, libraries, housing authorities and others are leading community-wide digital inclusion coalitions across the country. Panelists will discuss common challenges, decision making structures, essential coalition members, and advocacy from first steps to advanced efforts. People seeking employment are a big part of the constituency served by many local digital initiatives. This session will focus on programs that integrate digital skills training with employment programs, including certification training, and look at Workforce Investment funding and other support opportunities in the workforce system. Local housing authorities continue to drive digital inclusion strategies in many communities. Panelisrs will discuss their experiences and future plans with ConnectHome and related initiatives. Digital inclusion programs in rural and tribal communities with limited broadband access face special challenges in their efforts to increase digital literacy and adoption. This session will explore successful strategies and partnerships. Panelists will share opportunities and models for communities to deploy affordable home access, using rising technologies like millimeter wave, TVWS and small cell. Internet Service Providers are an essential partner in digital inclusion efforts. In addition to low-cost offers, how are digital inclusion programs partnering with ISPs on internet service sign up events, digital literacy trainings and outreach? Across the country, municipalities and other local leaders are investing in community-owned high-speed broadband networks. Community broadband can bring gigabit speeds to homes and businesses, extend fast broadband to unserved rural communities, create needed competition for private monopolies, and preserve the principles of open, neutral networks. Can it also support digital inclusion and affordable access for the disadvantaged residents of the communities it serves?